Measuring and Instrument Transformers - What are they used for? 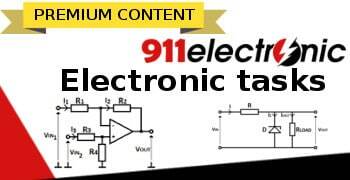 911 Electronic > Circuits > Measuring and Instrument Transformers – What are they used for? The current transformer is a suitably designed measuring transformer in which, during normal operation, the secondary current is almost proportional to the primary current, and its phase differs from the primary current phase by an angle that is close to zero in the case of proper connection of terminals. Current transformers are used to measure currents with high values, which can not be measured by directly switching on the meters due to exceeding their measuring ranges. 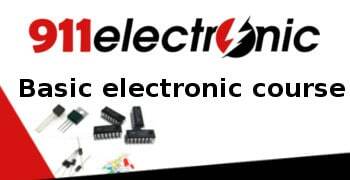 Another advantage of measuring transformers is the galvanic isolation of measuring instruments from the measuring circuit, which is under high voltage. The windings are wound on a typical ferromagnetic core (usually toroidal), wound from a single transformer plate. 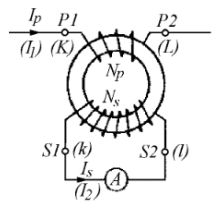 The primary current “Ip” flows through the primary winding, which is transformed from the primary side to the secondary side of the transformer. In the secondary winding there flows the secondary current “Is”, which powers the electronic circuits of measuring instruments, meters or relays. The transformer windings are carefully insulated from each other, which protects against breaking the high voltage from the primary side to the secondary circuit. The sum of all currents in the magnetic circuit is zero, because the current transformer’s secondary circuit is shorted by low impedance and current flows in it, which almost completely compensates for the primary flow. From the above dependence, one can calculate the value of primary current ”Ip” based on the measurement of the secondary current “Is” and the number of primary windings “Np” and secondary “Ns”. The ratio of the number of coils is called a transformer turns ratio or uncorrected turns ratio. The transformer turns ratio has a value similar to the actual current transmission equal to the ratio of the effective value of currents actually flowing through the transformer. The actual transmission “Ki” is variable, because the ratio of current values depends on the transformer load and the value of the primary current. In operation of the transformer, therefore, the rated gear “Kn” is used equal to the ratio of rated currents. 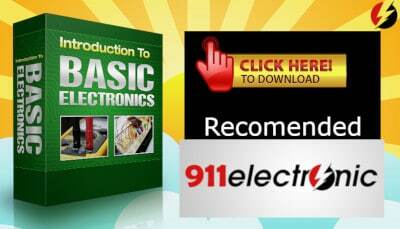 The measuring transformers are used to power measuring instruments and are more accurate than the protection transformers that are used to power the protection relays. The protection relays are less accurate, but they meet the requirements in the field of total error in a much wider range of currents, which exceed the rated values ​​even several dozen times. Thanks to this, they ensure correct operation of protections in conditions of overloads and shortages in the power network. However, measuring transformers are more accurate, but only in a narrow range of currents and even at currents slightly larger than rated, they show large negative measurement error value, which effectively protects the measuring instruments attached to them from damage during an overload or short circuit in the power grid. Therefore, measuring and protection transformers can not be used interchangeably, even if they have the same rated transmission and similar limit error values. Voltage transformers are used to transform high voltage into normalized low, voltage supply circuits for measuring instruments, meters, energy meters, etc. voltage transformers for measurements and protections. rated power and accuracy class. The choice of the transformer’s rated power and its accuracy class is of significant importance when choosing transformers for measuring systems. The rated power of the transformer depends mainly on the sum of the rated powers of devices and devices connected to the secondary winding. In order for the transformer to work within the required accuracy class, the secondary load of the transformer must not be lower than 25% of the rated load and must not exceed the rated load. Voltage transformers used to supply protection systems should be characterized by appropriate accuracy of voltage transformations in fault states where distorted waveforms occur.